Tuesday, I spent the entire day cleaning and organizing my kitchen. You know that kind of cleaning you do when you actually take the time to look beyond the forks and knives and notice all the little crumbs that have fallen to the bottom of the tray. I must admit that juggling work, family and daily blogging has taken a bit of a toll. I have had to become even more effective at managing my time and despite all of the projects I have been doing, for the most part my house has never looked worse. I just don’t have the time to clean in the ways I am accustomed to. I tidied up the fridge freezer and found a mind-boggling 22 frozen bananas…Yikes! Let’s just say my kitchen really needed a “behind the scenes” cleaning. After having spent all day in the kitchen, I am sad to say that the kitchen isn’t even done and to the “onlooker” it looks like I haven’t touched a thing because most of it is behind closed doors. Don’t you hate that? I called this post Spring Cleaning Gone Mad because I actually felt like a mad woman yesterday. I went from cupboard to cupboard vacuuming drawers, wiping out shelves and re-organizing their contents. I did odd jobs that had been avoided for way too long and after a very long day of slaving away I was left with a longer list of “to do’s” than when I started. Isn’t that the way it goes…you take on one project and it seems like you’ve opened up a can of worms. Every space I attacked revealed something else that needed attention. The good news is I have lots of blogging ideas, but the bad news is I don’t have the time to do it all! Although I am not done, it is looking much better. 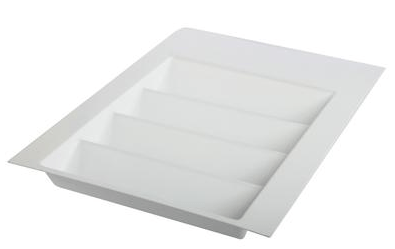 Finally filled up my new sliding upcylced book shelf storage rack. 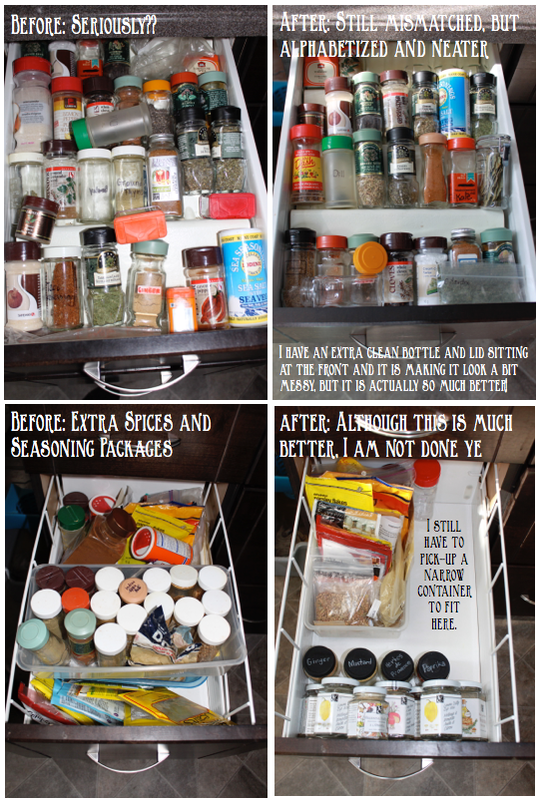 Finished the job of cleaning spice jars and organizing the drawers. I must admit that I was a bit surprised that even after all of that work, I still have two drawers, a cupboard and now a pull-out rack that contain spices! How is that even possible? The great thing is that it is neatly organized and streamlined, but I didn’t really create the extra cupboard space I was hoping for. 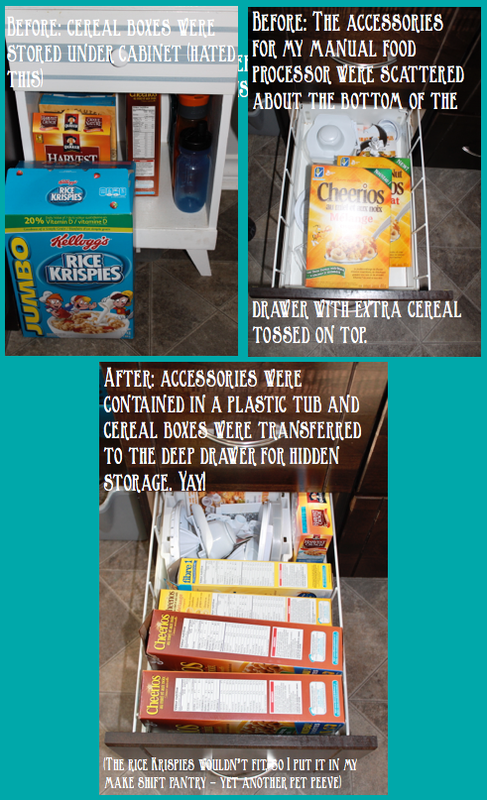 Managed to fit my cereal into a drawer and store the accessories for my manual food processor (that I absolutely love) behind the cereal boxes to make better use of the space. Re-configured the cupboard beside the stove, so that all of my Epicure jars are not hidden in the back, but rather neatly stored and much more visible in the second spice drawer. Removed all of my baking sheets and muffin tins, cleaned the cupboard and organized the space better. This cupboard is like a thorn in my side. I honestly get so mad taking things out and putting things in there that there should be an alarm that sounds warning my family it is not safe to enter the kitchen when I open that cupboard. Let’s just say it does not bring out the best in me. Although I straightened it out. I already know I will be in a rant by Sunday if something is not done. This project is next on my list and hopefully will get done today….I have a plan and am a woman on a mission! 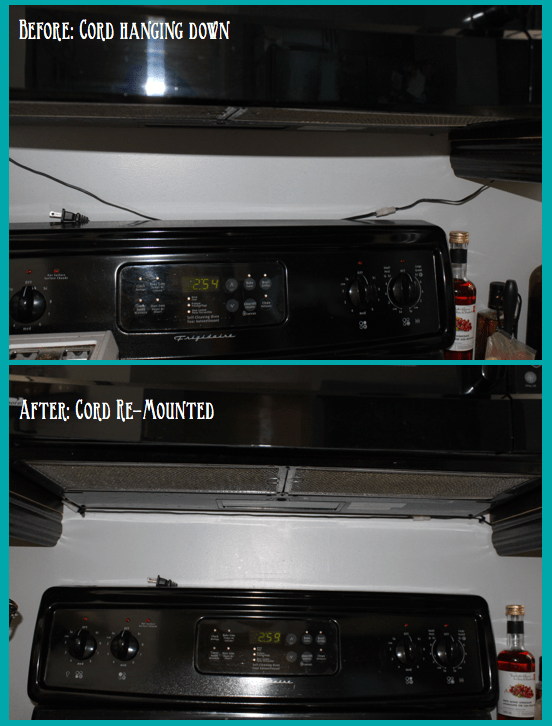 Hung the cord from the under cabinet lighting that came loose about 3 years ago. Every time I noticed that sucker hanging down, I would be annoyed that it hadn’t been put back-up. Not yesterday….I finally took the 5 minutes necessary and did it myself. Perhaps not the way my husband would have done it, but clearly he was okay with it hanging down loosely over the stove, so his standards weren’t getting in my way. It’s done, my way and looks way better. We had mounted an old grate for school mail and notes at least two years ago. When we originally attached it, the holes were drilled too high and we had to lower them. That was fine, but the holes never got filled. Yesterday, I filled the holes and will sand and paint them today….yay! It seemed like we had cereal boxes everywhere! Hard to believe we were Paleo at one time!! So glad to have this eyesore taken care of…finally! These spice bottle look so much better and love the new rack! 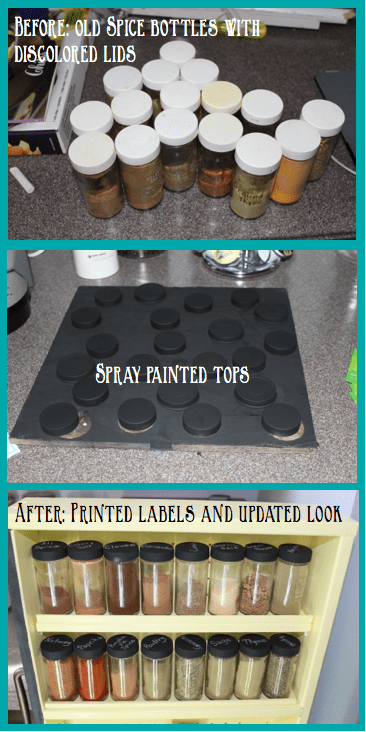 Posted on April 3, 2014 by Cindy Roy •	This entry was posted in DIY and Upcycling, Organization and tagged how to get organized in the kitchen, kitchen organization, re-thinking your kitchen. Bookmark the permalink.